I have ordered and used your products for many years, including these tablecovers. This is the first time I have been truly disappointed in a product. I thought I would receive the same cloths I have ordered and received for years. You must have changed suppliers, as these are poor quality. I would return them if postage were less expensive. Wow! High quality and great price! Fits round 54" table well. vinyl tablecloth thinner than expected. I saw this nice thick (fabric backed) cover on a table at my friends house. She told me to order from Miles Kimball. Although I didn't order the exact one she had, I expected the fabric backing to be thicker like hers was. It's okay, not sure how long it will last. We like to work puzzles in the winter time and we need a smooth surface. 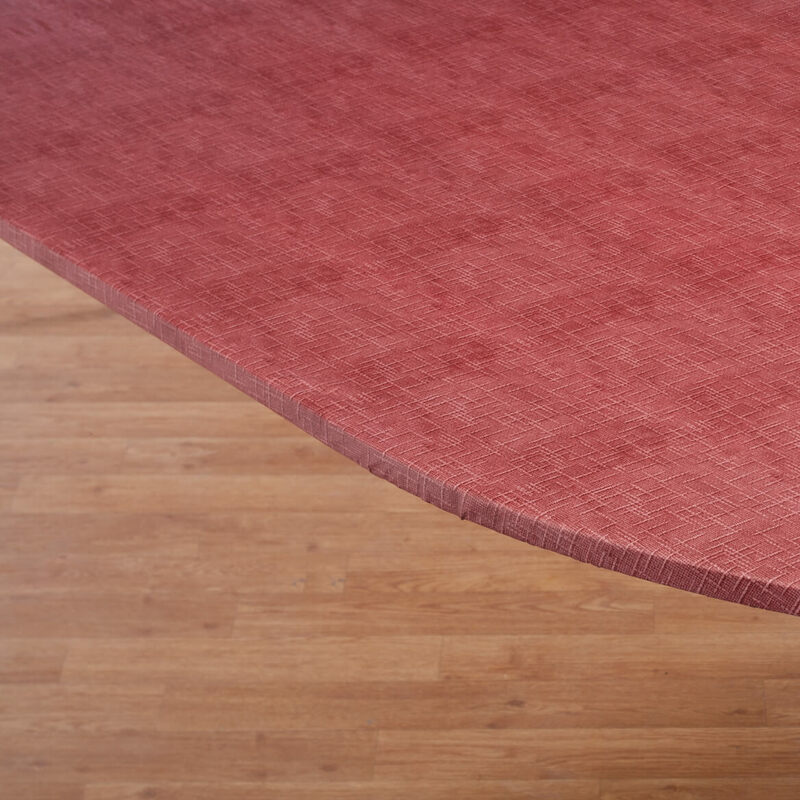 We thought an elasticized tablecover would do the trick. It should have but I don't think I have even seen an oval that have corners. There is no way this even comes close to fitting. 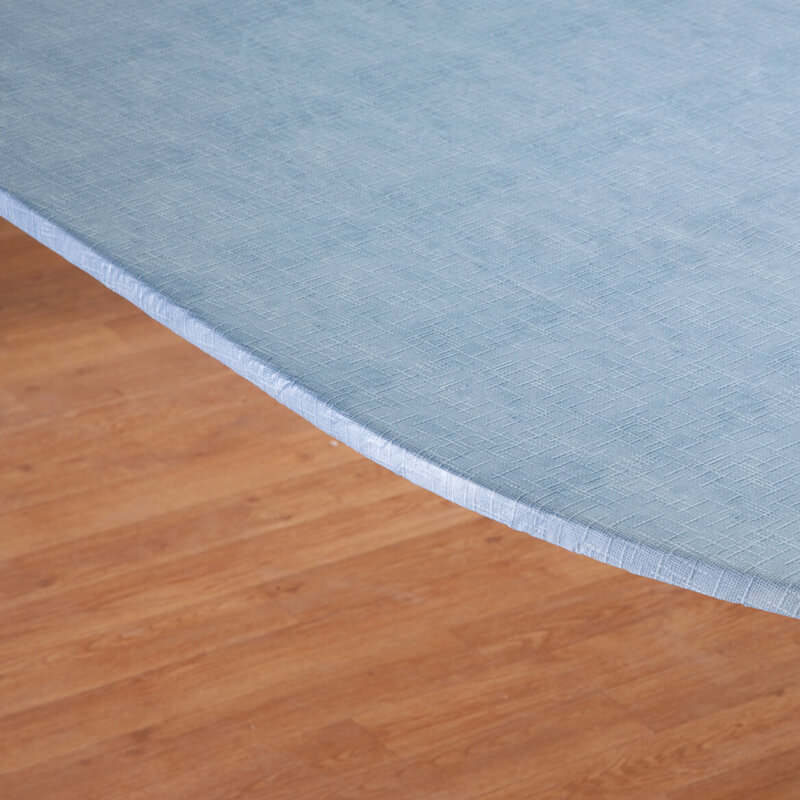 We use an oval table and ordered the oval/oblong cover. It really has 4 corners and there is no way it will fit let along be wrinkle free. use them all the time and they make my table look good. We have used these before. 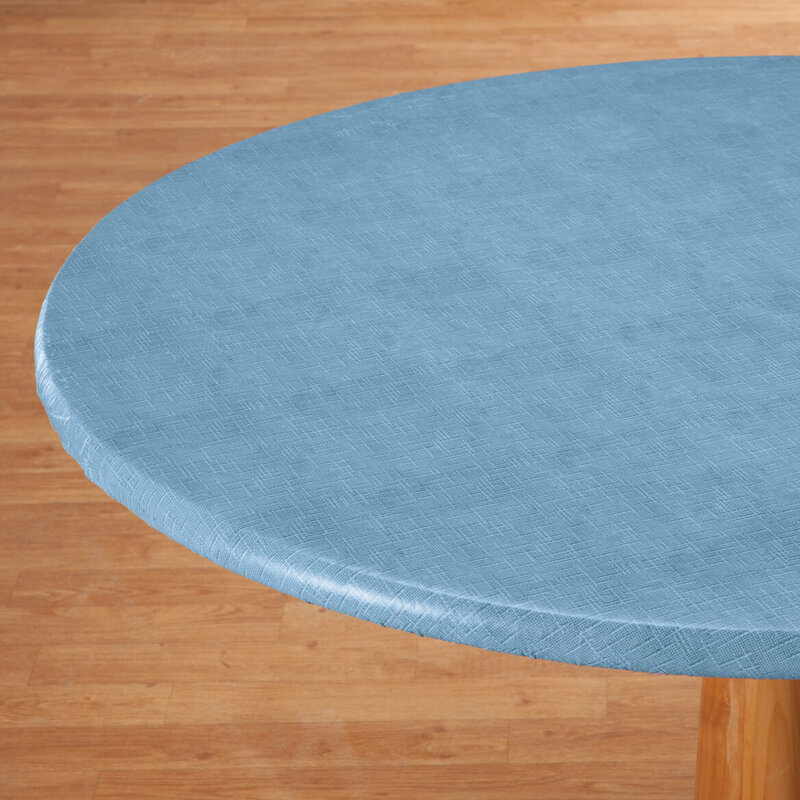 I like the vinyl elasticized table covers because they stay in place and always look neat. BUY THESE A LOT, THEY FIT GOOD AND CAN CHANGE THEM FOR DIFFERENT OCCASIONS. I can only get these here. To fit table to play cards. Your Company is the only one, who offers these Round Elastic Type. I have been a customer for many years and my Mother always had your catalogs. I love these , not only do they make my table look great , these table covers protect it . I have order 6 different ones as well as colors . I just bought another rose colored one before its no longer available in the size I need . For an outdoor table and it is perfect for that. To play Mah Jongg on 3 tables at my house. Great for game playing! Love these tablecloths. Really easy to clean, and they don't drag onto your lap while sitting. My table is a bit worn and a cover will give it a nice fresh look. The elastisized edges to keep in place is a great idea! Like to change my kitchen around often. My old one in our sunroom needs replaced. I've had these before and they hold up pretty well. However, I believe your shipping and handling charges are too much. Almost as much for that as the price of the tablecloth. Would not have bought without the promotion code. 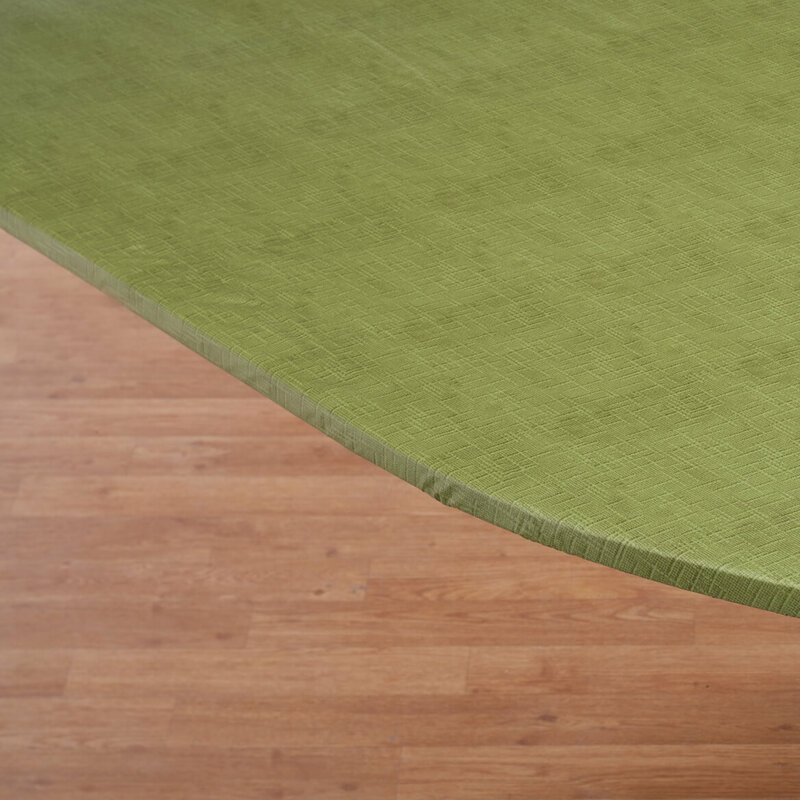 Usual vinyl tablecloths slide too easily on table, elasticized should hold the tablecloth in place. I HAVE FOUND OVER THE YEARS THAT THESE TABLE COERS WORK BEST AND LONGER THAN ANY OTHERS I HAVE TRIED. WE ENTERTAIN QUITE A LOT PLAYING DIFFERENT DIE & CARD GAMES AND THEY STAND UP TO THE STRESS BEAUTIFULLY! To keep my glass table top clean and scratch free. for my patio table. easy to wipe off. This type of table cover stays in place! it is easy to clean and I like the colors. This one is my third to order. Color will go well in my kitchen which is pale green. I usually buy elasticized table cloths. They fit the table and do not slip around. 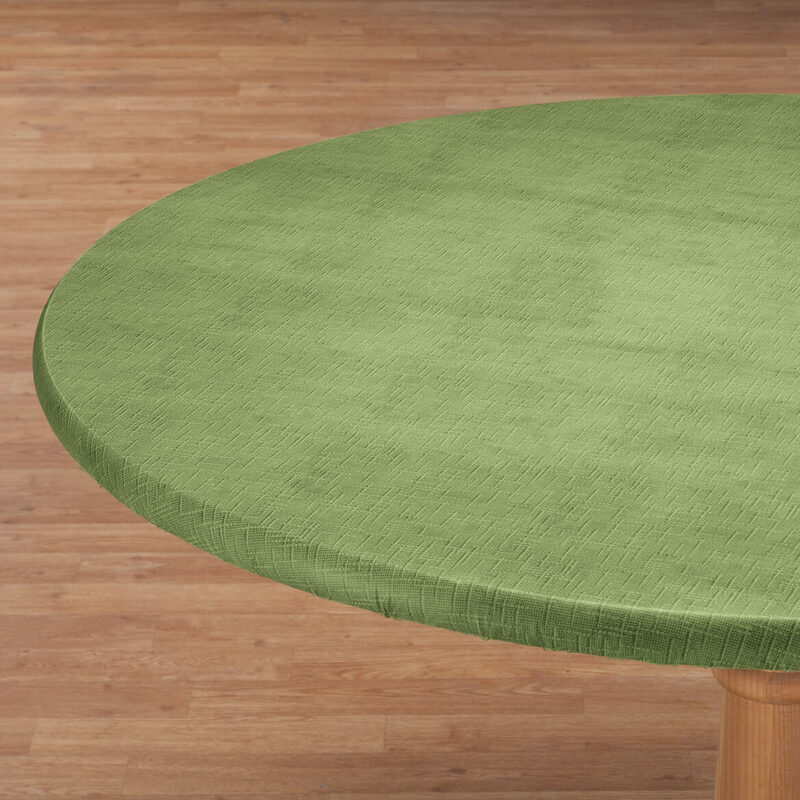 I like elastisized table covers and this color will complement my kitchen. 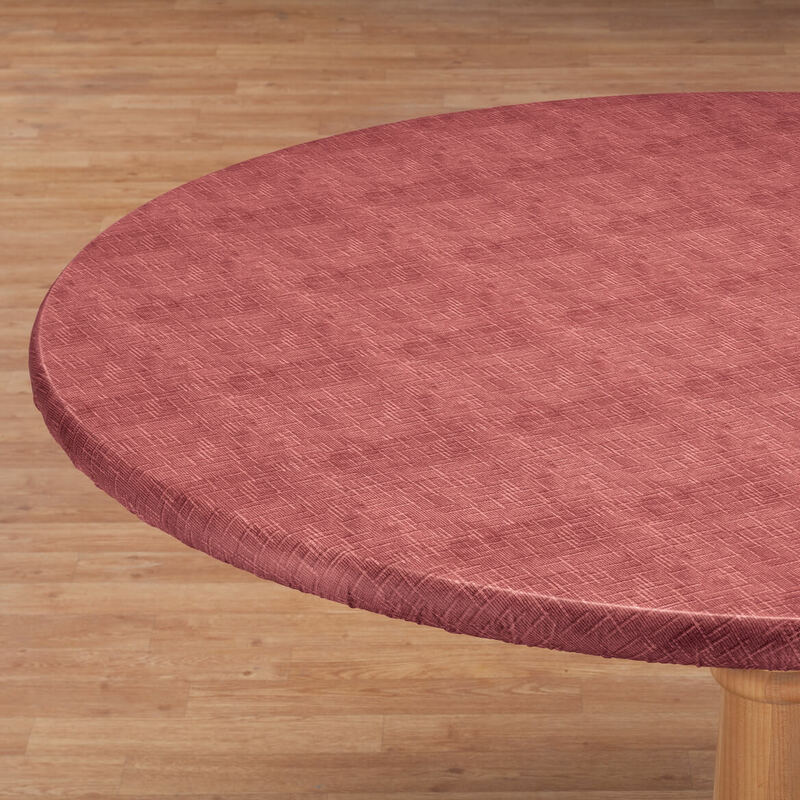 I needed a burgundy or rose-colored fitted table cloth for my kitchen table, and this one simply fit the style that I was looking for--a pattern that was more stylish than busy. Looking forward to receiving this! I would like to order more, where are they? i play Mahjongg and have three tables that need covers so the tiles don't make so much noise and they keep the table tops clean! Would this table cloth fit a 50" round table tightly? BEST ANSWER: Thank you for your question. We suggest you order the 45" - 56" diameter round. We hope this information will be of help to you. I did order the extra large, but my question was does it fit tightly. We'll see. I ordered it. 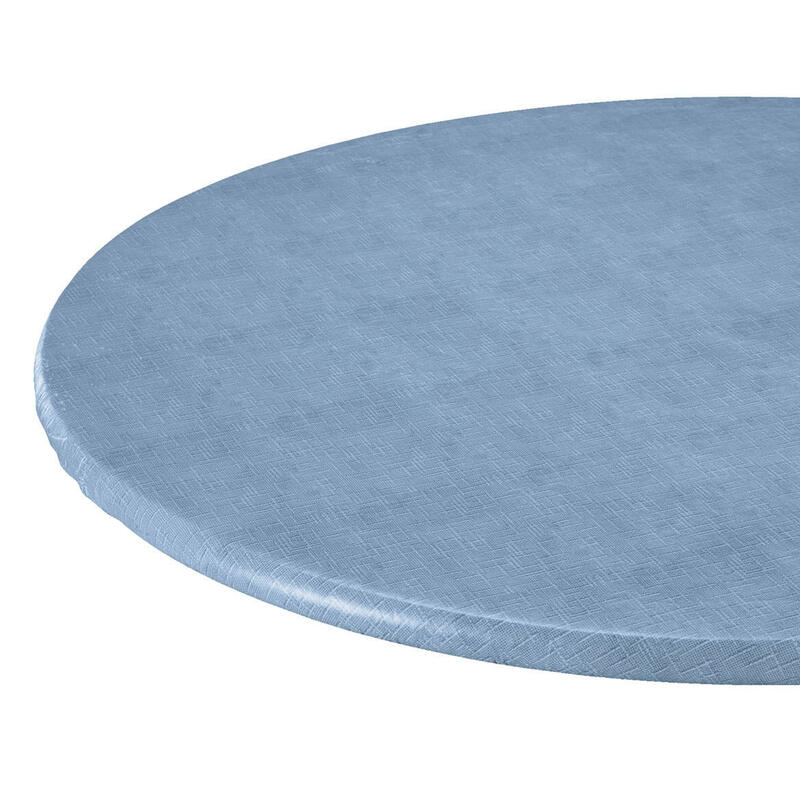 would a 40" round fit a 42" dia table? BEST ANSWER: Thank you for your question. Yes, it will fit a 40" - 44" dia. Round table. We hope this information will be of help to you. I have an oblong table - 40 by 58 - will the oblong table cover fit well? BEST ANSWER: Thank you for your question. Yes, though it may be a little loose. We hope this information will be of help to you. I have a 48” diameter round table. What size tablecloth do I order?? BEST ANSWER: Thank you for your question. 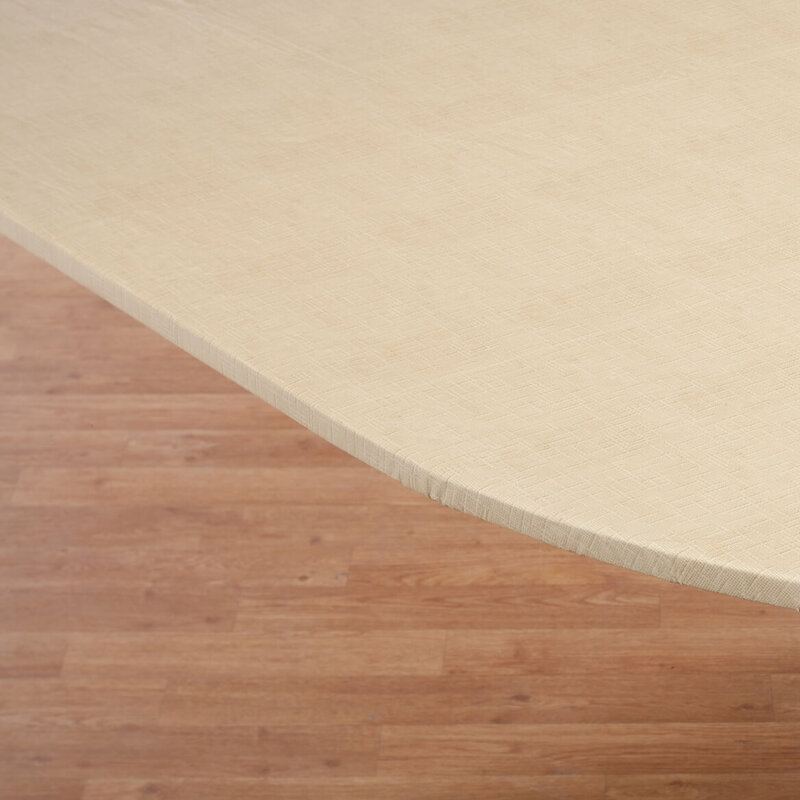 For a 48" table, you will want to order the 45"-56" round. We hope this information will be of help to you. 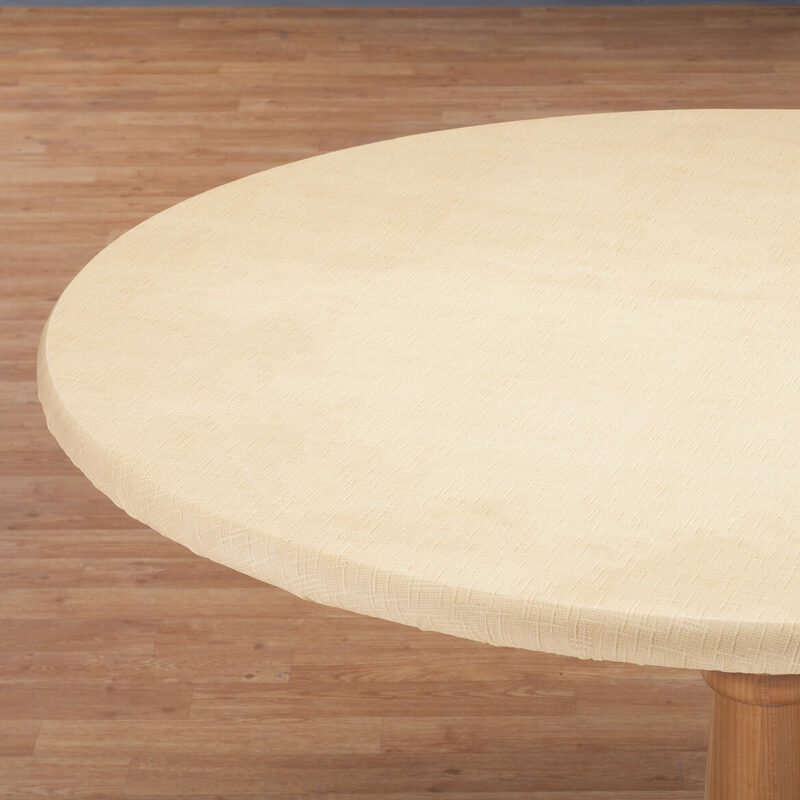 Do you have a vinyl tablecloth that would fit my oval table that is 48"x72"? BEST ANSWER: Thank you for your question. 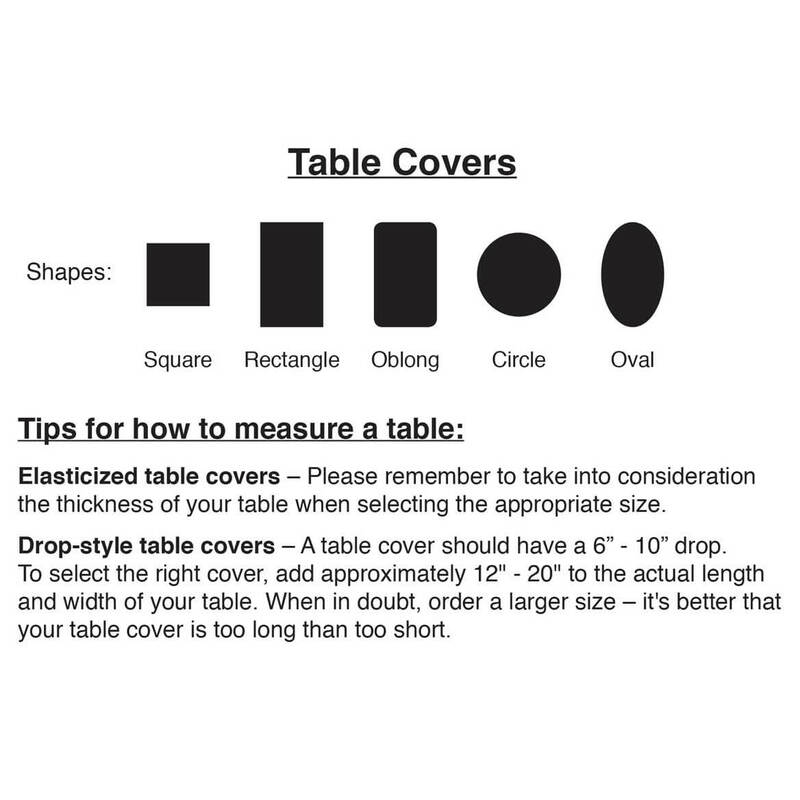 Please refer to the size options on each table cover. The sizes listed are the size table they fit. We hope this information will be of help to you.